I am trying to figure out how to start this annnnd I can’t… I don’t want to bore you with all the gory details with how I grew up and my childhood and my high school boyfriends. Because really do you even care? I moved to Colorado at 21.. Moved in with my sister for about 6 months, then moved in with my, then, boyfriend for a year lease in this apartment. Got him a dog, had a lot of fights, had a lot of mistakes made. 3 months left of the lease he moved to Arizona broke up with me. I have to say, I’m happy he did because if he didn’t I would be in Arizona soo unhappy. Stayed broken up with then boyfriend and found my new boyfriend un-wanting of him at the time. Eventually, I gave in and he took me out and we fell hopelessly in love.. Not really but you get the point. Moved out of said apartment. Moved into new apartment.. Moved out of that apartment (inhabitable living), into boyfriends house with his 2 kids after only being together for maybe 6 months. Ended up working out amazingly. Still with this boyfriend and fell in love with his kids annnd a year and half later here I am.. talking to you and trying to figure my life out at 21. 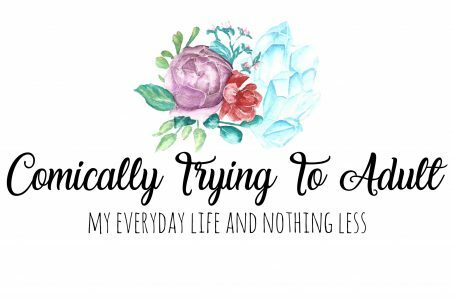 This blog is really for me to get my thoughts out, a journal so to speak but instead of it being kept a secret I am spilling my guts out for you all to read. So be nice. I am going to write on topics (give some good ideas if you have anything you want my opinion on), my thoughts, my day to day life, and trying to comically adult. At 21, dating a man that is 10 years older than me with 2 kids, it better be pretty comical. Enjoy my blog and I hope you all laugh with me on the things I write. Hope Everything has been great! Thank you so much!! I truly appreciate it! You should definitely do it! It is helping me so much with my thoughts and just everyday life. I hope you keep reading and let me know what you think every now and again! I would love to hang out like old times for sure!! !